An automatic rainwater harvesting system which is used for collecting rainwater from your barn roof and suppling on demand for both Agricultural & Commercial use. 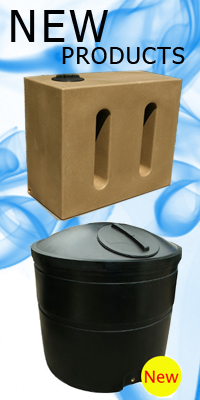 Quality, UK made system for saving money on your water bills. 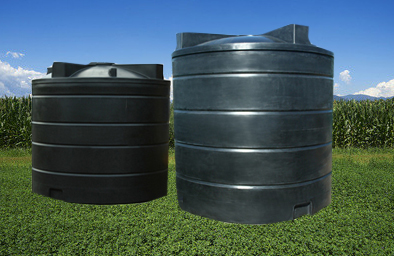 This system consists of an industrial strength MDPE (Medium Density Polyethylene) tank complete with pipework connections, self priming inline pump, water filter. 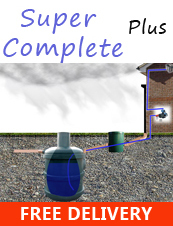 This system offers great savings on mainwater consumpsion and help towards the environment. This system come with the CBM250SS 1" Stainless Steel Booster Pump. High specification, extremely quiet, stainless steel bodied corrosion and rust proof pump, ideal for boosting or maintaining water pressure.